Panama Jack vs. Timberland Boots: Which are best? While Timberland may be a more recognizable brand of footwear to us today, Panama Jack has a loyal following of its own. 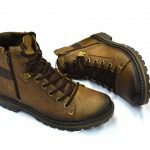 Both companies manufacture quality boots that are fit for any occasion. So, which one is the best brand? We’ll compare the products of each company to help you determine which company’s boot is right for you. Both Panama Jack and Timberland have been in the footwear business for decades, but each company followed a different path. In the 1950s, Nathan Swartz bought half of the Massachusetts-based Abington Shoe Company. 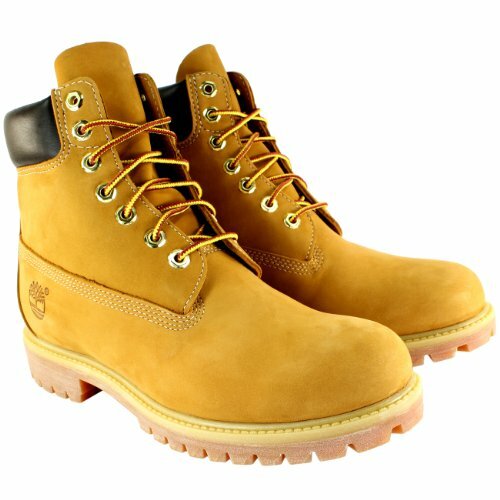 In 1973, the company introduced the first waterproof boot, the yellow Timberland. The shoe was so popular that Swartz changed the name of his company to Timberland. By focusing on the footwear that started it all, Timberland has become a cultural icon with a global presence. Reflecting a love of the outdoors, Timberland’s shoes and boots are durable and comfortable, designed for any climate or terrain. In 1999, the company introduced the Timberland PRO series, embracing the demographic of outdoor workers. This line of safety boots stand up to every work environment. Over the years, since the company’s explosion on the global scene, Timberland has manufactured apparel, accessories, and leather goods. However, their number one objective is creating a comfortable outdoor boot. In 1974, former Florida Gators defensive lineman turned American businessman jack Katz founded Panama Jack, another company that focuses on outdoor apparel. Opposed to Timberland, Panama Jack manufactured tropical outdoor products, such as skin care and clothing. In the years since, the company expanded into other ventures. Panama Jack features footwear and tropical-themed furniture, bedding, and a recent partnership with a hotel chain. When Panama Jack released its first boot in 1989, its design catered to the outdoor adventurer, a reputation it still has today. For thirty years, Panama Jack has manufactured a variety of outdoor boots for men and women. With a stylish appeal, they have a classic design that caters to any outfit. Panama Jacks match casual outfits and rugged outdoor apparel with ease, creating a fashion statement with their well-made boots. Panama Jacks have a taller shaft than Timberland boots, which makes them better for the taller person with long legs, but they come in high-top and low-top styles for every consumer. The company’s success in the footwear market comes from its manufacturing processes. Every boot has been handmade in Spain for thirty years, adding to the overall quality of craftsmanship. Although the company updated their materials and methods to reflect modern manufacturing techniques, many Panama Jack boots retain their original design. 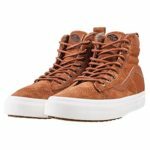 One of the company’s best-selling boots, the Panama Jack Panama 03, has been on the market for twenty-five years, becoming the benchmark for other styles. Panama Jacks are the perfect boot for the outdoor traveler. They have slip-resistant outsoles, durable leather uppers, and comfortable interior liners made of fur, leather, cotton, and other textiles. If seeing the world’s architectural marvels, your pair of Jacks will get you there. With proper care, these well-made boots will last you for years, or even decades. Since the 1950s, Timberland has manufactured several designs of shoes and boots designed for outdoor activities. Initially catering their footwear to specific pastimes, such as boating and hiking, the company hit their peak with the release of the original Timberland waterproof boot in 1973. The design’s success rested on the demand for durable, waterproof footwear needed by outdoor laborers. Timberland continues this tradition today, manufacturing both hiking boots and work boots with equal attention to detail. Like Panama Jacks, Timberlands have a unique look that stems from their original 1973 design. Although the company keeps up with the current technological innovations, Timberland models their new designs on their initial boot. This has created a recognizable brand that crosses generational lines. The iconic Timberland style, like Panama Jack, matches any casual or outdoor outfit. Throughout the 1980s and 1990s, the company reached pop culture status, with endorsements by famous musicians and celebrities who loved to wear their Timberlands in public. 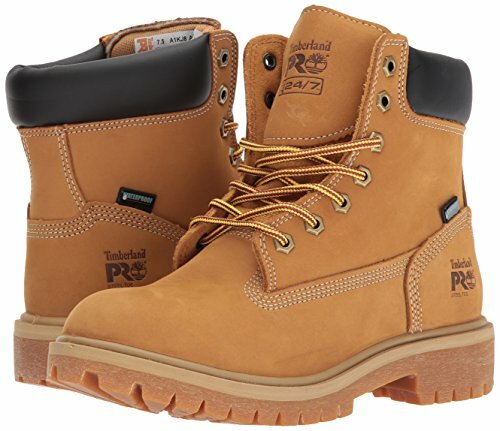 With the introduction of the PRO series in 1999, Timberland became the go-to manufacturer for reliable safety footwear. One of the company’s bestselling models, the Timberland PRO Direct Attach 6” Steel Safety Toe, keeps the original Timberland heritage of creating a waterproof boot that is comfortable for all-day wear. They come complete with safety features such as steel toe protection and slip-resistant outsoles. For over twenty years, Timberland has extended its reach to numerous job sites and labor professions all over the world. With rugged slip-resistant rubber outsoles, breathable interiors, and shock-absorbent features, Timberlands are the perfect boot for anyone who works hard and plays hard. 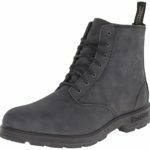 In trying to decide which brand makes a better boot, we should take a look at models from each manufacturer for comparison. We’ve compared the Panama Jack Panama 03 and the Timberland 6” Premium Waterproof Boot side by side, showing their benefits and drawbacks. As one of the company’s bestselling models, any outdoor adventurer should have the Panama 03 in their arsenal. 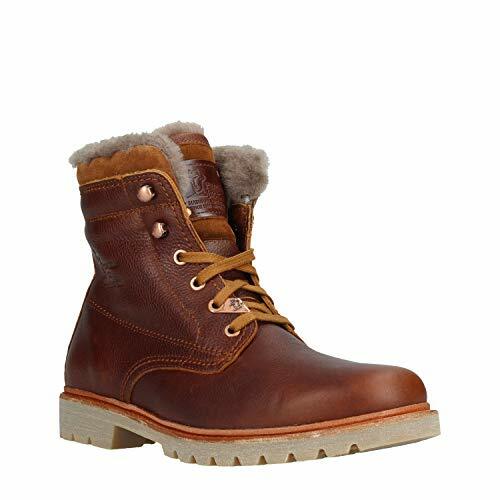 With a handstitched Nappa leather upper to ensure quality, this waterproof lace-up mid-calf boot has a flexible non-slip rubber outsole with defined lugs for excellent traction. Rugged enough for any terrain, the Panama 03 has a leather interior lining for more durability and a removable insole that form fits your foot for the most comfort. Manufactured in Spain, this handmade boot comes with a care kit and extra laces to keep you going on the next adventure. Unfortunately, Panama Jack limits their distribution to Europe, so they rarely appear on the American market, except through a third-party seller. When ordering your pair, keep in mind that you will have to use a size converter chart, because Panama Jacks come in European sizes. The Timberland 6” Premium Waterproof Boot is one of the company’s best-selling hiking boots. Reflecting the company’s original Timberland design, this waterproof boot is a well-constructed boot designed for any indoor or outdoor activity. Measuring 7.25” from the arch, this high-top boot reaches above the ankle for solid foot and ankle protection on uneven terrain. A defined heel adds stability to the non-slip rubber outsole with deep lugs for excellent traction. The interior insulated lining keeps your feet warm through the coldest winters. Trudge through snow and rain puddles in the Timberland Premium Waterproof Boot, and your feet will stay dry. A padded ankle collar keeps you comfortable on your feet for all-day wear through the city or on your favorite hiking trail. The US-based company has a worldwide distribution, so they are more widely available than Panama Jacks. Timberland boots usually run large, so you may have to order a size down from your usual footwear. 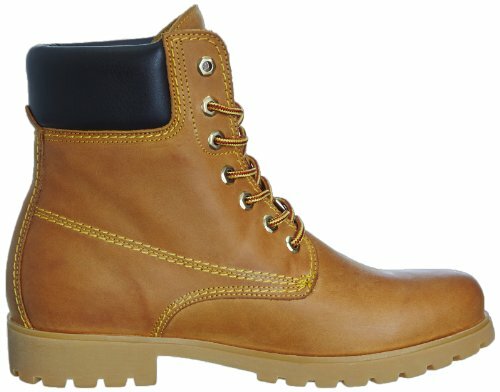 There is a vast difference between the price points of Panama Jacks and Timberlands. Since Panama Jacks are handcrafted, they are costly. However, the high manufacturing standard also makes the boot last longer with the proper care. Some loyal customers claim that their Panama Jacks have lasted for over a decade. Timberlands are cheaper than Panama Jacks, but they maintain attention to detail like any other reliable boot. Depending on the make, model, and design, Timberlands have a price range from moderately-priced to expensive. If you are extremely rough on your shoes, then your Timberlands will last a little over a year. If you use them just for walking on smooth terrain in cleaner conditions, you can wear them for much longer. 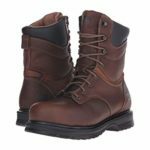 While both companies deliver long-lasting, durable boots for work or play to their loyal customer base, the fundamental differences between Panama Jack and Timberland will help you decide which boot is best for you. If you are a traveler, grab a pair of Panama Jacks. With flexible outsoles and durable handcrafted leather, these boots will stand the test of time. Using superior techniques that rely on the ancient craft of shoemaking, Panama Jacks are the ultimate luxury boot for the collector who craves adventure. If you need a durable boot to keep up with your active lifestyle, Timberland leads the market in comfortable and efficient footwear. 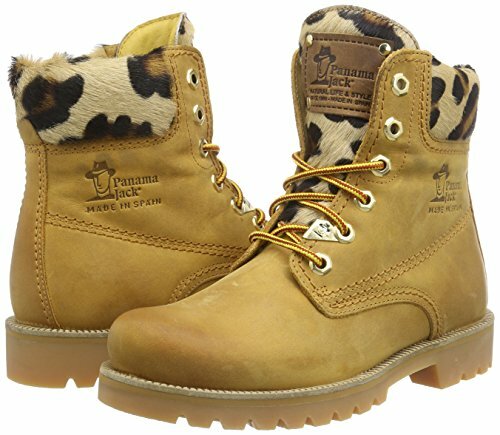 With sizes available for consumers of all ages, Timberlands have global recognition. The company’s worldwide distribution makes finding the perfect pair of Tims easier than ever. 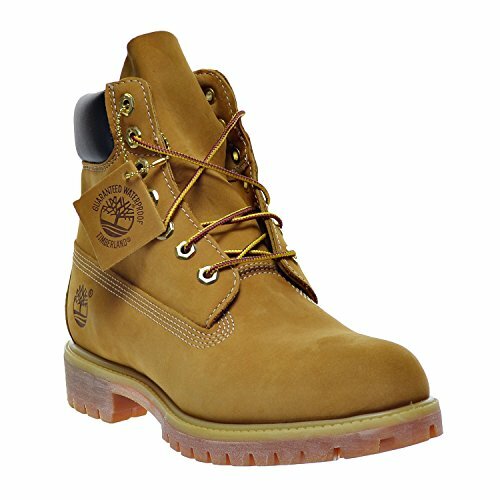 For men and women who need a reliable work boot, Timberland manufactures several safety-toe and non-safety toe footwear that suit any employer’s requirements. 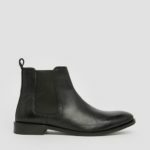 The bottom line: neither boot is better than the other, but how you will be using your newest purchase will be the ultimate deciding factor. Panama Jacks are better for those who need a boot that is both activewear and a fashion statement, especially if you don’t mind making the pricey financial investment. While Timberland makes a high-quality hiking and outdoor boot, the company’s best asset is their line of work and safety footwear. Red Wing Original Vs. Fake- How Do You Spot the Fakes?